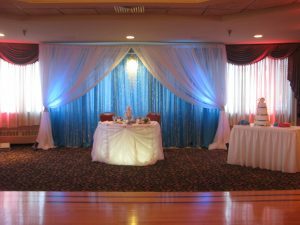 At Celebrations, we offer an array of elegant lighting options for your event, from basic dance floor lighting to gorgeous, color-controlled uplighting. 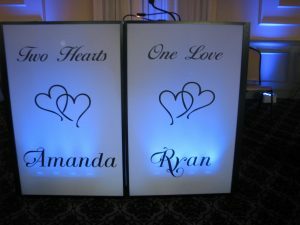 Available as part of our DJ services or a la carte, our lighting packages make your event space pop with vivid color and are a popular enhancement for every type of occasion. 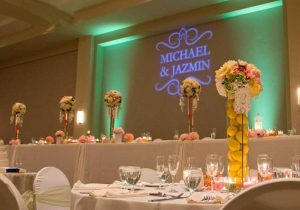 Battery Operated color coordinated uplights in white cases that can be placed almost anywhere without any messy wires. Latest technology that can match almost every color. 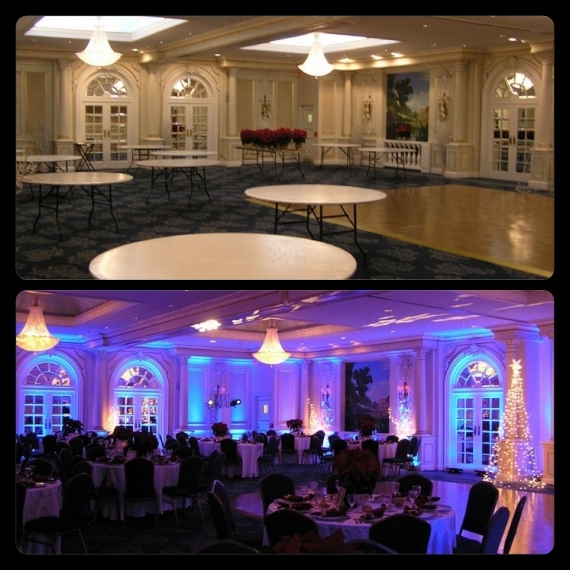 We professionally light each room individually by what your venue needs not by how many you can afford. 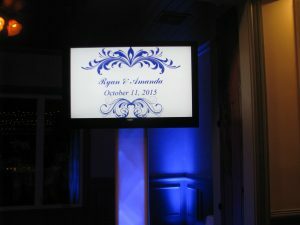 Your names or initials or individual design on the dance floor or wall for all your guest to see. Multiple truss enabled 50 ft Led Video Screens and DLP projection for displaying Slide Shows, Love Story or Music videos or any type of presentations.